June 1 & 2 are coming quickly. Just another month away. So what am I looking forward to? Rhubarb Fest in Aledo, IL. I live near there and my children went to school there. My wonderful church family gathers there. Am I a rhubarb lover? Not really, but every year Aledo holds the Rhubarb Fest. This will be the 20th year for the celebration of Rhubarb. It brings several thousand people into the small town, snarls traffic, often brings storms and wind, and is a weekend I try to avoid going to town. So if I'm not a rhubarb fan, why am I looking forward to it so much this year? Healing Love, the first book of the Cottonwood Series will be available at Rhubarb Fest. As you can see in the navigation bar, I've added a new page featuring guest blogs. Articles written by friends and writers as well as all the Clash of the Titles posts will be on this page. I'll continue to post my thoughts here. Just a little bitty post to introduce you to a new feature. I am a slave of God. We shy away from the concept, and understandably so, given the history of slavery here is the US. I am one, however, and proud to declare it. As a believer in Christ I have been paid for by Christ. Thus, He owns me and I am His slave. Paul, Timothy and James, the brother of Christ, all claimed it. Fudgesicles, how long has it been since I’ve had a fudgesicle? I’m not sure, but they came to mind when I was at the dentist the other day. I’ve been to the dentist rather often this year. Just before we went on our winter vacation I went because of an aching tooth. I really didn’t want to have a problem while away from home. The diagnosis: a root canal. I’ve had one before, and it wasn’t that bad. My dentist is very gentle and numbs me well. He was able to get the tooth on its way to the root canal so I wouldn’t be in pain over the next couple of weeks. When we returned I started on the rest of the appointments. About Winter: We're all freaks. It's just a matter of perspective. Winter Maessen didn’t ask for the gift of prophecy. She’s happy being a freak – but now everyone thinks she’s crazy. Or evil. Goths aren’t all the same, you know. Some are Christians… Christians to whom God sends visions. 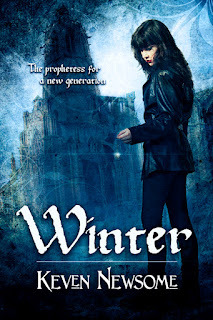 Students at her university are being attacked, and Winter knows there’s more than flesh and blood at work. Her gift means she’s the only one who can stop it – but at what price? About Keven:Keven Newsome is a graduate student at the New Orleans Baptist Theological Seminary, where he is pursuing a Master of Arts in Theology specializing in Supernatural Theology. 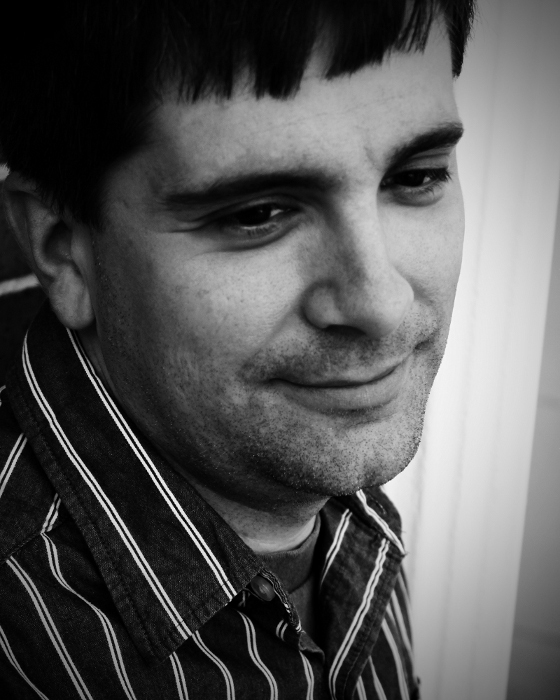 He writes stories that portray the supernatural and paranormal with a Biblical perspective. He's also the found and administrator of The New Author's Fellowship and produces music and videos through Newsome Creative. When asked about himself, he says, "I am a child of God, husband, father, and friend, in that order. I am a musician, novelist, and sometimes artist. I know the difference between Star Wars, Star Trek, and Firefly, but I prefer Lord of the Rings. My mp3 player contains a mix of Christian rock and movie soundtracks. I am more of a nerd at heart, but I am equally comfortable sleeping under the stars with a log for a pillow, playing Halo with a bunch of guys with cold pizza on standby, or playing intra-mural sports such as tennis or flag-football. In short...I am strange." Since I’ve been writing I’ve been reading many more blogs. I’ve learned a lot about writing, I’ve commented on posts, and some posts I’ve skipped. Why skip posts on topics I’m interested in? In a very few words: length and format. I read a lot so I’m not afraid to read. The blog topics I’m interested in should encourage me to read the posts. The fact that I skip some without reading past the title is telling. The length is the first item that is off putting, and how the paragraphs break, if there are any, are the second.